Start on Thursday, May 19th with an art party! 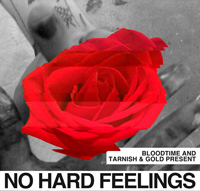 In collaboration, Tarnish & Gold and Bloodtime present No Hard Feelings. Tarnish & Gold left their flagship space last month, relocated in Dinkytown and are still mobile, this time throwing a bash at the West Bank’s Nomad World Pub bar co-presented with creative team Bloodtime. Featuring Featuring Live Music by Mike Mictlan, Spyder Baybie, La Manchita, Alicia Steele and Human Bear Trap. Visual Art by artists Justin James Sehorn, Garrett Perry, Miles Mendenhall, Jesse Draxler, Daniel Luedtke, Nick Knutson, Rose Sexton, Chris Park and Nick Howard. The action starts at 9 pm, although no cover before 9 pm – nice. Keep the sound going all weekend! What I love most about MN spring-summer season (besides the sunshine) is the abundance of live outdoor music. Open up your ears to Czeslaw’s Loop, a three-day, four-part, gigantic conceptual collaborative project that brings Minneapolis’ most influential artists and musicians together to realize the lost final opus of 1960s electronic composer Czeslaw Janecki, who through a technological blunder, trans-mutated himself into electronic sound. Don’t believe me? Head down to the river this weekend to see Ryan Olson, Stef Alexander, Martin Dosh, Sean Connaughty, Ben Garthus and others pay homage through a weekend of multi-media performance and visual art. This event takes place Friday, May 20 – Sunday, May 22, with performances occurring at sunset and noon, intermittently, on the river behind the Sample Room (or Mississippi River Marker 856.2). See a sneak peak at: Creation (ACT 3) from Permanent Art and Design Group on Vimeo. If you need some downtime from musical transcendence, head over to Shuga Records to rock-out to live music at Hoolie Fest. Hoolie Fest boasts over 75 live bands playing indoors and outdoors from Friday, May 20th – Sunday, May 22nd. Good food, good people, and live screen-printing. Feel good participating too, because partial proceeds go to benefit the St. Stephens homeless shelter. 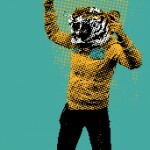 Fist pump! Wash all that art down with a cold one in celebration of MN Craft Beer Week, which started last Friday and runs through Sunday, the 21st. This week long event consists of over 30 participating locations featuring specials and happy hours and Homebrew competitions. Visit their website for participating locations and times. Yay for IPAs!